Furnishing your office space in Tampa, Florida, with recycled office furniture is an economical and environmentally friendly choice. Instead of paying a large sum of money for brand-new pieces of furniture, you can make the economical choice by investing in aesthetically pleasing and functional pieces that are gently used. This allows you to save money while still enjoying top-of-the-line products. You’ll also be making an environmentally responsible decision, since you will be elongating the life of these products instead of contributing to needless waste by purchasing brand-new items. If you want recycled office furniture from top manufacturers like Herman Miller, Knoll, Teknion, Haworth, and others, turn to experts at Reusable Office Interiors. We can help you furnish your office in the Tampa, FL, area with aesthetically pleasing and sturdy office furniture that is sure to impress employees and clients alike. We offer a wide selection of furniture to ensure that we can provide all of the pieces you need. 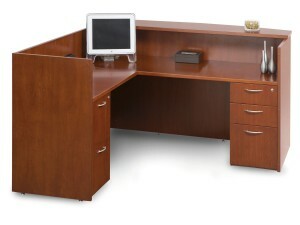 You’ll be able to pick from cubicles, desks, executive furniture, filing cabinets, reception furniture, and so much more. Plus, we offer a variety of services, including furniture delivery and installation, office interior design, and liquidation services. We can also recycle any items that you no longer want, which will help reduce the number of pieces of furniture that regularly end up in landfills. Contact Reusable Office Interiors today to learn more about the excellent selection of recycled office furniture we have for business owners in the Tampa, FL, area.